"Without question the most useful book in the marketplace on the writing and development process." "A fabulous one-stop, practical tool box for writers and developers"
"Screenwriting Unchained is the lightsabre of screenwriting books: the Story-Type Method cuts through to the essence and guides you when you are lost." This practical, no-nonsense guide leaves behind one-size-fits-all story theories and offers a modern approach to story structure, making it a precious resource for anyone involved creatively in the Film and TV industry (or aspiring to be): writers, directors, producers, development execs, showrunners and, more generally, storytellers keen to reach a wide audience at home and abroad. Having identified three main story-types – plot-led, character-led, theme-led – Oberg reveals in a clear, conversational style how each of these impacts on the structure of any screenplay, and how we can use a single set of tools to develop any movie, from an independent crossover to a studio blockbuster. This leads to a powerful yet flexible way to handle the script development process: the Story-Type Method®. A new framework that doesn’t tell filmmakers what to write and when, but focuses instead on why some storytelling tools and principles have stood the test of time, and how to use them in the 21st century. According to readers (see reviews below), Oberg’s new approach is a game changer. How to identify the story-type of your project to make its development faster, easier and solve most story structure problems. How to leave behind the prescriptive, logistical three-act structure based on page numbers or minutes and replace it with a flexible, dramatic three-act structure that will help you design a rock-solid screenplay. How focusing on emotion, character development and managing information will allow you to go beyond the “protagonist–goal–obstacles–conflict” basic chain of drama. How to use the fractal aspect of structure to design not only the whole story but also its parts in order to avoid the dreaded "sagging middle" syndrome and breathe new life into your script. How to clarify what’s at stake and increase your chances of getting the project made with a new take on Maslow’s Hierarchy of Needs. How to use subgoals to Sequence the Action and psychological/emotional steps to Sequence the Evolution of your characters. How to keep the audience engaged using tools like dramatic irony, surprise, mystery and suspense, adding a third dimension to your storytelling. How to master these tools and principles in scenes through practical exercises before using them in a short film, a feature film, a TV episode or a whole series following hands-on tips and advice. How to design an attention-grabbing opening and a satisfying ending. How to deal with hybrids and exceptions, as story structure isn't about forcing all narratives into a single formulaic paradigm. With The Rewrite Stuff: 12 Ways to a Stronger Screenplay, how to approach a new draft creatively and efficiently. How to make the difference between selling documents – used to raise development or production finance – and story design tools. Once you've developed a killer script, how to best pitch your project according to its story-type and get enthusiastic partners on board. If you’ve ever questioned why screenplays should be structured in three acts, eight sequences, fifteen beats or twenty-two steps then this book was written for you. And if you never have, well… no time like the present! Using many case studies including films as diverse as Gravity, Silver Linings Playbook, Crash, Billy Elliot, The Intouchables, Birdman, Alien, Groundhog Day, Misery, Edge of Tomorrow, The Secret in Their Eyes, Cloud Atlas, L.A. Confidential and The Lives of Others, Screenwriting Unchained will transform the way you write, read, pitch, design, assess and develop screenplays. Guaranteed! Emmanuel is a screenwriter, author and script consultant with over two decades of experience in the Film and TV industry. He has also designed an internationally acclaimed 3-day Advanced Development Workshop – based on the Story-Type Method – which he delivers with passion to filmmakers all over the world. Emmanuel lives in the U.K. with his wife and their two daughters. His film agent is Rachel Holroyd at Casarotto in London. "Screenwriters tend to rely too heavily on formula, as if there is a plug-and-play recipe for creating art. What Oberg does with this Screenwriting Unchained book is offer a background on what he calls “logistical structure” and why it has worked for so long, but then focuses the writer on “dramatic structure” which instead allows the writer to breathe, present emotion on the page in a more fluid manner, and concentrate on the most important element of storytelling; presenting an emotional experience to an audience. A refreshing new book all writers should consider studying." "Admirer of William Goldman, Emmanuel Oberg has a unique talent for revealing the dramatic structure of any movie. The Story-Type Method allows you to strengthen any story as you're designing it and Oberg's brilliant idea to apply Maslow's Theory of Human Needs to screenwriting will rescue many writers in danger of getting lost. This book is a remarkable achievement and any storyteller will benefit from it. It's an unmissable contribution to the topic." "This book really resonates with my approach to stories and writing - the parts on character-led stories are something fresh after seeing book after book talk solely about protagonists with a want who must overcome obstacles to defeat etc etc etc. It helps fit together the pieces of some more human-journey style films like Groundhog Day and Silver Linings Playbook, and is already helping me get greater clarity on a few stories I'm working on. It's written clearly, and there is a ton of detail once you get into some of the worked examples. If you're not convinced by some of the stuff you've read on how to go about writing a 'Hollywood' film, then check this book out." "As a late starter in screenwriting, I have worked through more than a hundred screenwriting books over the last six years, rarely completing most as they tend to repeat the same content absorbed in previous books. Screenwriting Unchained is the exception. Brilliant content, great structure and a refreshing perspective utilizing Maslow's well-known hierarchy of needs as a critical point of reference in screenwriting. Great book and well presented - a must read for new and experienced screenwriters. I believe in organising - I dislike being chained!" 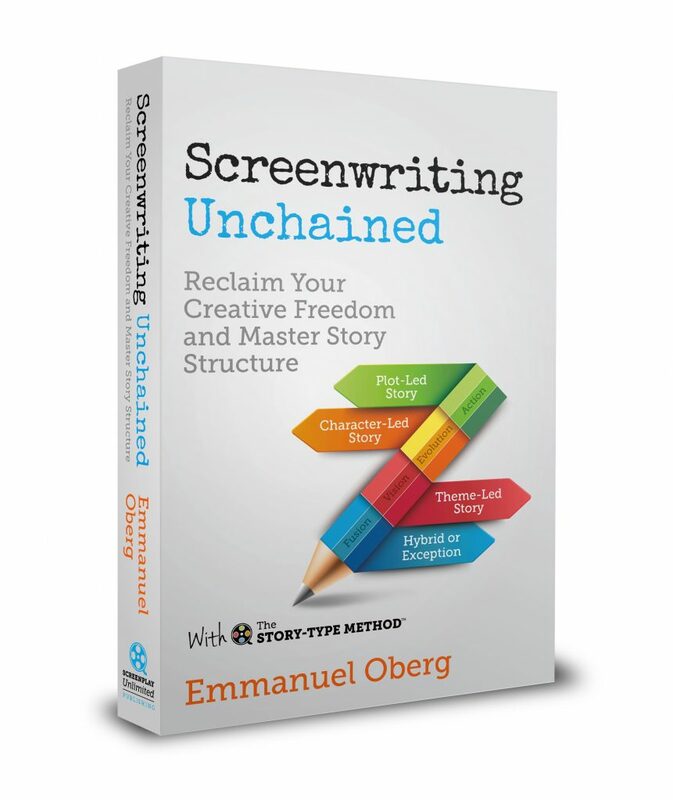 "Having read an early review copy of Screenwriting Unchained, I can say that this is without a doubt the best book on screenwriting and story structure available today. It offers a wide selection of screenwriting and diagnostic tools, some of these completely original – for example the Story-Type Method itself providing three main structural templates (plot-led, character-led and theme-led), or the idea of applying Abraham Maslow’s Hierarchy of Needs to screenwriting in order to assess a project's potential audience. 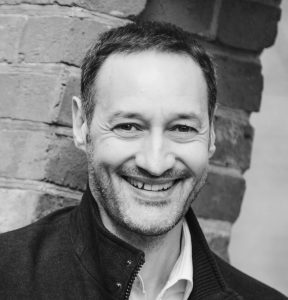 Initially following in the footsteps of Aristotle, Edward Mabley, Frank Daniel or Yves Lavandier, Emmanuel Oberg moves on from these sources of inspiration through a number of theoretical and technical aspects, but also through his refusal of any formula. Instead of restraining filmmakers' creativity with dogmatic principles, the Story-Type Method provides the freedom to leave the so-called rules aside. The detailed case studies (Misery, Billy Elliot, Gravity, Silver Linings Playbook, Crash) are remarkable." "This is a really clear and intelligently laid out book. Each section flows logically and easily into the next. It is very accessible and the principles are quick to grasp. It has some truly inspired chapters, use of Maslow, break down of types of story and above/below line requirements. There are proper workable tools to use when approaching rewriting too which is so often overlooked in other books. Just when I thought there couldn’t possibly be anything more to add on the subject of screenwriting, this book finds it." "Written with great clarity coupled with a deep understanding of the craft of screenwriting. Rather than (mis-)sell you a paradigm, Emmanuel's book equips you with the tools to create, to analyse, and to improve your stories and screenplays, all backed up by robust and comprehensible theory as well as practical, relatable examples. Highly recommended for anybody in the business of film, with an interest in film, or simply with an interest in how and why stories work." "Brilliant anaphylactic deconstruction of scriptwriting." "Having read a preview copy, I can say that Oberg has come up with something of use for the novice and the professional alike. His deep understanding bridges the desire to be creative and yet serve that creativity with a solid use of structure. This is a lesson from a master of his craft. Buy and learn." "This remarkable and brilliant book really gives the tools needed to write a successful screenplay. Not only that, it is written in such a clear and exciting way that it is difficult to put down. [Oberg] starts with The Story-Type [Method]. He discusses the Three-Act Structure and the difference between Plot-led, Character-led and Theme-led stories, and introduces a new approach to story structure. A little later he introduces an extremely useful psychological theory called The Hierarchy of Needs, proposed by Maslow in 1943, and applies it to screenwriting where it can be a framework to help us to think about the key elements of story design. His application is absolutely fascinating. Emmanuel writes in a wonderfully conversational way, I feel that he is here, talking to me, like a friend. I learnt from page one and could not stop. All aspects of structure are analysed and explained, interesting case studies are given, and we are encouraged to have a go, to design a scene, and to check the result with his help. And, he gives pointers for the making of a pitch when we set about selling the story. All I can say to Emmanuel is thank you for this practical and inspirational book." "I really hate to review this book, because I don't want the competition knowing about it--it's that good. But I'm doing it to support and encourage Emmanuel's brilliant efforts." "One of those seldom books that makes you rethink what you know and inspires you to look outside the Hollywoodian paradigms." "I think I have read most of the decent screenwriting books available and this one is by far the best value for money/time/effort. It is not overridden with theory but it manages to present a simple and easy-to-follow model, supported by plenty of examples. There is no magic - it all boils down to what the story of your characters is and who they are faced against (someone/something external or themselves, for example). I read it in one day and it answered many of my questions and I am sure I will read it again and again. If you want to read on this topic or if you are writing scripts (like me) - this is the first book you should buy." "This is a fantastic handbook for screenwriters, or for anyone working with them. It is clear enough to be accessible if you are new to screenwriting, but deep and wide-ranging enough to work as a guide for experienced professionals, or for producers or development executives. The theory is explained clearly, with great examples from a wide range of films. I particularly like the practical exercises, which make the process of writing less intimidating, and help you 'self-assess', both on scene writing and overarching story structure. I have read many books on this subject, and this is among the best out there." Oberg defines a good story as a metaphor for a problem-solving process. Identifying where the main problem lies – outside the protagonist (in other characters or nature); within the protagonist; in society – leads to the Story-Type Method, which defines three main story-types: plot-led, character-led and theme-led. This innovative way of looking at story structure works as well for a character-driven story as an action movie, a multi-stranded narrative or even hybrids and exceptions. The three-act structure can be used to design not only the whole film but also its parts: acts, sequences, scenes, subplots, strands… This is one of the many differences between what Oberg calls the dramatic three-act structure and the logistical three-act structure, based on page numbers or minutes, such as the 30–60–30 paradigm. The dramatic three-act structure is more flexible, more powerful and is even optional, at least when it comes to designing the story as a whole. Is Maslow Running the Show? Oberg comes up with a completely new way of looking at Abraham Maslow’s Hierarchy of Needs, a well-known theory of human psychology, and explains how it can be applied to screenwriting. This results in practical applications in relation to potential audience, genre, story-types and ultimately getting the film made. It also leads to a powerful assessment tool called the M-Factor. In the last chapter, Oberg makes the distinction between selling documents and story design tools, explaining how to use well-known documents such as step outlines, beat sheets, index cards or treatments, but also less well-known tools such as relationships maps, strands maps or story structure frameworks. In The Rewrite Stuff – 12 Ways to a Stronger Screenplay, he offers a practical guide to the re-writing process, using twelve aspects of the Story-Type Method to check if a story engine is firing on all cylinders. Any Question About Screenwriting Unchained?